He was County Surveyor from the early 1890's till 1914, He made the Official Monterey County Map in 1898. Slates was owned at this time by Dr. Henry Murphy, a Salinas, physician. 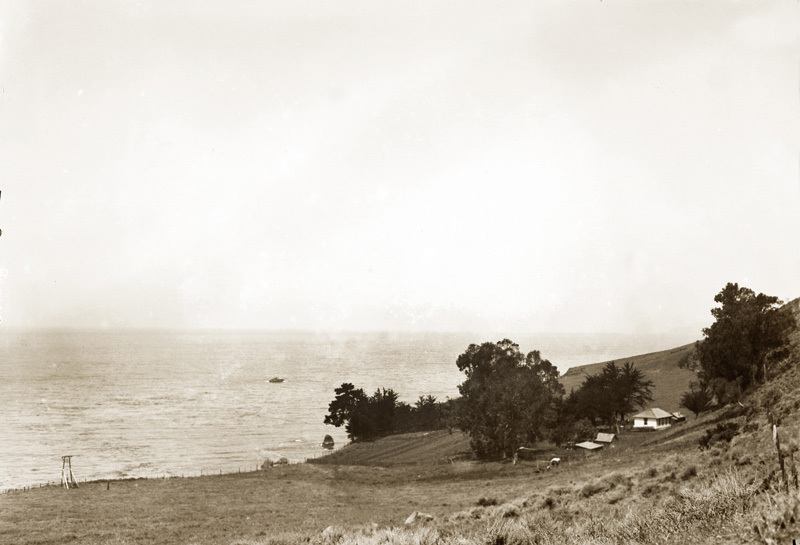 And now is home to the Esalen Institute. And photo of Notley's Landing, Bixby Landing and Seaview Landing AKA Partingtons Landing and other Dog Hole landing of the Big Sur and California coast. Holdings: 100+images of the Big Sur coast and the Salinas Rodeo in the collection are a number of 5x7 negatives by H. G. Trout a Salinas photographer and friend of Lou Hare a gift from his daughter Dorothy Hare Frost. Prints are available from 11 x14 - 40x60 .